Way past cool. Can really move. Ninten-DON'T. Chili dog. Pick your favorite reference. If there is a movie based on a video game in some stage of development, chances are pretty good it's happening at Sony. The film arm of the company has the screen rights to everything from Angry Birds to Metal Gear to Heavy Rain to Rollercoaster Tycoon, having effectively cornered the market without actually having made any of the proposed features. 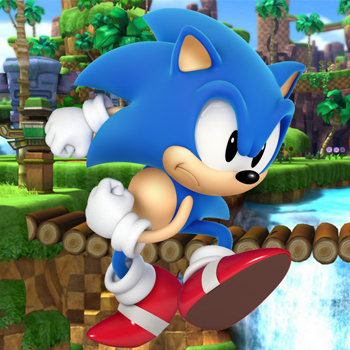 But now they're said to be moving forward on one of their priority projects: Sonic the Hedgehog. Said Sony Pictures production president Hannah Minghella: "There are limitless stories to tell with a character like Sonic the Hedgehog." The film, however - described as a "live-action/CGI hybrid" - will follow the story from most of the games, with Sonic in conflict with his nemesis Dr. Eggman over the safety of Sonic's animal friends. It is presumed that Eggman (for a time known as "Robotnik" to Western fans) will be played by a human actor while Sonic is animated, though no casting has been announced. The actual filmmaking will be done by Marza Animation Planet, a Japanese feature-animation studio owned by Sonic rights-holders Sega Sammy. Marza was previously responsible for the animated Sonic short-subject Night of The Werehog.